Macali Communications, Feb. 26, 2014 blog post features an interview with SLRG’s Jon Last. Jon addresses key insights on sports marketing issues and opportunities in the year ahead, driven by recent SLRG research. I am lucky to meet smart and talented people who have great perspectives on business and sport. Jon Last is one of the brightest. Jon is the founder and President of Sports and Leisure Research Group, a full service marketing research consultancy that supports leading brands in sports, travel and media. 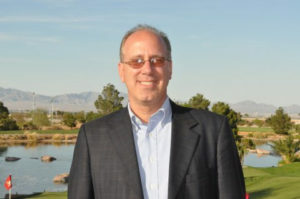 Last’s 25+ years of professional experience includes seven years as VP Corporate Marketing for Golf Digest Companies, and eight years at the PGA of America, where he oversaw marketing research, consumer marketing and retailing. A frequent speaker and featured columnist for Media Post’s Marketing: Sports, Last holds an M.B.A. from Wharton and a B.A. from Tufts. He is a former national president of the U.S. Marketing Research Association (MRA). 1. What is the value and meaning of the intersection of insights and strategy to your clients and prospects? We strive to integrate rigorous and well-crafted research with a deeper understanding of the strategic implications of those findings. Some of our competitors offer one or the other of these important elements, but not both. There are consultants who offer strategy without having the experience and proficiency in solid research methodology. And then there are research firms that dwell on the esoterics of process and data, but fail to translate them into anything pragmatic or actionable. We believe that good research can be pragmatically applied to business and that’s where the intersection occurs. We differ from major consulting firms because we vertically integrate the research and the strategy and we do so with sensitivity to the client’s specific insight needs and budget realities. 2. What is the most valuable insight you can offer sports marketers this year? I don’t believe there is one overarching insight for all sports; beyond continue to listen carefully to the customer because he or she remains in control of the brand relationship. And listening means screening out the noise and the often unrepresentative opinions of the vocal minority. In golf, we believe brands will continue to battle for market share because of the game’s stagnant growth and the golfer’s innovation overload. Brands must be mindful of this situation as they develop communications strategies to drive differentiated brand awareness, consideration and purchase. Additionally, all sports brands should remain captivated by the transformation present in the expansion of media choices. There is a concern that this variety and number of media platforms are cannibalizing each other. While there is some media attrition, we are finding that all these choices are adding to and not destroying the fan’s connection and engagement with their favorite sport. Naturally, there are areas where certain media has advantages over others. For instance, golf instruction is best presented in print. Whereas when comparison shopping for resorts or destination, more people will lean toward online media options. Essentially, new channels are additive and each media have their value in presenting specific content. For brands, it will be critical for them to be disciplined and creative about strategy, media choices and messaging which can be challenging when trying to optimize their marketing investments. 3. What is surprises you the most about participation sports? First, young people are becoming specialized in sport at an early age. In the past when April came, we hung up our hockey sticks and picked up our baseball gloves. But now, if you’re a higher level athlete (e.g. high school), you focus your time on a specific sport all year round. Second, speaking broadly about recreational sports; sports organizations and brands must know how to engage and activate participation. Sports like golf, skiing and tennis will gain from accepting that people will find the time for sports that captivate them. If there are tangible advantages to a sport, people will find more time and money to actively participate in them. 4. How can sports leagues and organizations address the challenges of the in-game or in-competition experience? It’s no secret that attendance at most sporting events is flat or declining. Much of that is driven by questions concerning the relative value derived from the in-game experience. It will be critical for properties examine their value proposition and evolve their environments by harnessing technology like HD Jumbotrons, accessible broadband connectivity, in-stadium amenities and even entertainment during breaks that enhance the fun and differentiate that experience. The possible blackouts of NFL playoff games caught leagues’ attention about the seriousness of this situation. Of course the game changer is the expansion in bandwidth allowing fast and easy access to Wifi among 20,000 to 80,000 fans in an arena or stadium. Teams are closer than ever to solving that issue and opening up interaction at a game. In some recent studies that we’ve conducted, we found divergent fan needs along these lines. First, there were the traditionalists who wanted to simply watch the game. Second, there were those who were challenged by the pace of the game and wanted to look at stats and other information online about players and teams. Third, were those fans who felt their experience was enhanced by the capability to be connected for any number of reasons to the Internet and to others at the game. It’s beneficial to recognize that we are at an inflection point where old does not equal obsolete and new does not equal intimidation. Overall, teams will benefit from seeing that technology is additive and not destructive to the game experience. 5. What could be the most compelling sports business or event moment this year? I’m particularly looking forward to the back-to-back U.S. Opens at Pinehurst. Our company has done a good amount of work to better understand how to captivate women with golf. This moment will elevate the women’s game to see them competing on the same course as men within a week’s time. Patriotism aside, I think the Olympics are not as compelling as they were in the past. As the most popular sports have extended their relevance to the off-season and made that more compelling, fans are engaging with them year round. The Olympics are challenged by being only a week and a half, so it’s hard for many fans to get into the different competitions. Meanwhile, football has expanded its relevance with the draft, the combine and its own network. And even baseball has done so with the World Classic and other relevant extensions of the game. 6. What’s the greatest concern and opportunities that your clients see in the sports business? My concern is for teams, organizations and brands to continue to captivate fans and participants, to make the products unique and fresh and to add value to making their sport a better alternative for attendance or participation. We need to determine how to insert fans into the sports’ community and how to create valuable experiences for those within the community. I often think back to an example from work we conducted for the World Golf Foundation regarding golf participation. When you ask people what prevents them from playing, the default response is “time and money,” but that’s not an actionable insight. Upon digging deeper, we discovered the sentiment that “there are no guarantees” in golf meaning there’s inconsistency to the value of the experience. Sports fans and participants turn to those pursuits that are fresh and compelling, while also delivering a reliable, consistent and comfortable experience. Jon, thanks for this valuable ideas and insights. What do you think will affect sports business the most in 2014 and beyond?